A Wellsboro protest is planned for Dec. 6, 7 to 9 a.m., both in and in front of the Penn Wells Hotel, 62 Main St. in Wellsboro, where Ridge is the featured speaker at a Chamber of Commerce breakfast. Some tickets for the breakfast may still remain; they’re $20 a pop, and the Chamber of Commerce number to call is (570) 724-1926. Actually, it would be great if some GDAC people could get inside. GDAC attendance inside or outside is totally fitting, since all the signs point to Ridge having some shady, background role in PA Homeland Security’s no-bid hiring of ITRR (who spied on and libeled all of us. There’s as yet no “smoking gun,” but it’s pretty fishy, given Ridge’s PA government and US Homeland Security contacts, that PA Homeland Security should no-bid hire a spying organization that works for Ridge Global and that PA Homeland Security should openly admit (in its notorious e-mail to Virginia) that it was taking the side of the gas industry–for whom Ridge now works!–against dissenters. One protest sign I’m playing with using is ITRR: Institute of Terrorism Recruited by Ridge. It might be interesting to scare potential leaser and investors (again, it’s a C of C event) by asking Ridge if he thought the well-organized activism in Luzerne and Columbia counties caused Encana to pull out of two counties after only two test wells; I would be cool if GDAC people either asked or were present as “Exhibit A” to back up this question. Protest signs — pointing to Ridge and Corbett in bed with the gas companies, especially, are welc0me. “Dry Baby dry!” has been Audrey Simpson’s battle cry (and prayer) since she first heard of EnCana’s plans to drill three experimental horizontal gas wells in the Back Mountain region of Northeast Penn’s Woods. We first met Audrey on January 14, 2010. She was video taping a presentation by EnCana to the Back Mountain Community Partnership. I recall how simplistic and benign EnCana’s presentation was. They did not mention trainloads of chemicals, just some water and sand. When we publicly questioned them, they became defensive and contentious. After the meeting, Audrey approached Karen, Leanne and I, “We have to organize!”. Then she introduced herself. She had been following this Marcellus “play” for a while and she knew it was bad mojo. 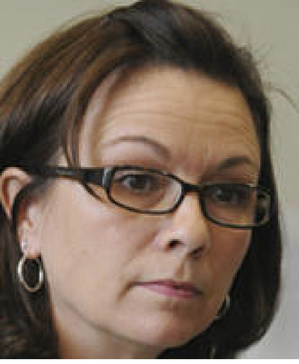 That was the beginning of NoDrillNEPA which eventually merged with Tom Jiunta’s group (Luzerne County Citizens for Clean Water) to become GDAC – Gas Drilling Awareness Coalition. I called Simpson tonight to discuss the news that EnCana was pulling out of Luzerne and Columbia Counties. We recalled that back in January, we saw this outcome as a remote possibility. Here it was nine months later, and the dream was now reality. This may be good news for the Back Mountain, but EnCana’s departure is totally fortuitous. Like being spared of small pox while others around you are wasting away. The Susquehanna, Delaware, Allegheny, Monongahela and Ohio remain threatened and suffering. Thousands of fellow citizens continue to be treated as guinea pigs, The Pennsylvania State Constitution continues to be usurped. Citizens will have their properties seized by private entities. Our governor will pay back the gas industry for its contributions to his campaign. Ours was a chance victory in a large war. This won’t be won without a constitutional battle. For the time being we must do everything we can to help slow, stall, challenge, and ban this supposed juggernaut. Place by place. Day by day. Otherwise, they will be back. I would think this EnCana announcement will not effect the continuing attempts to traverse the area with pipeline. Always remember, the landmen were there when we were not. We must find a way to help struggling family farms. They are the backbone of rural Pennsylvania. We need to re-think and re-tool for a green humanscale future. It is the only sane path. it is time for the state to act to protect the health and the rights of the citizens of Pennsylvania rather than looking out for big business and their bottom lines. 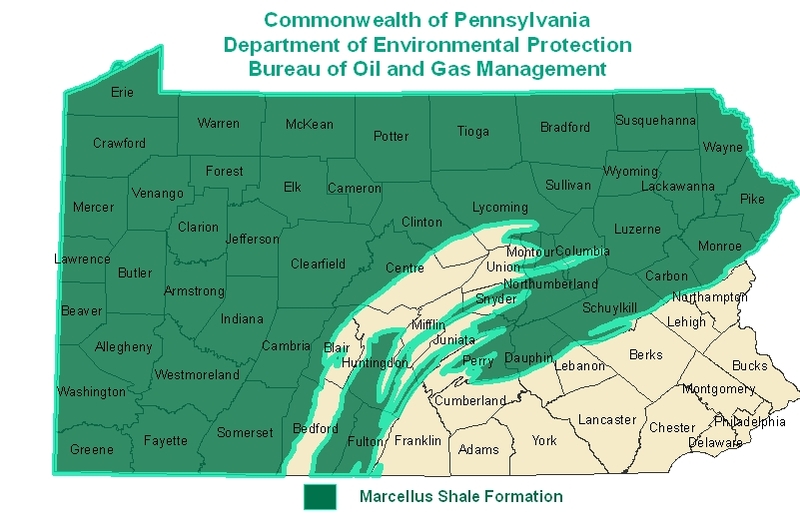 In Don William’s most recent blog post, 600,000 natural gas wells!, his sources report the industry is expecting to drill from 200,000 to 600,000 wells in Pennsylvania. In my recent post, Fracked Dry, I reported that the 200,000 figure was one which was put forth by Penn State as the “high end”. As I related at the time, I thought their figures low. While 200,000 is a devastating amount, 600,000 is homicidal. It represents 1.5 TRILLION gallons of water profoudly polluted and permanently removed from our water cycle. Only a small percentage of the water shot down during the fracking process comes back up. The rest is left below – abandoned in the form of a radioactified toxified super salty slurry. 1.5 Trillion gallons is equivalent to 204 Harvey’s Lakes or 1,341 Huntsville Reservoirs left beneath the earth’s surface. 1.5 Trillion gallons represents 57 days worth of water flow throughout the entire Susquehanna watershed. Can we afford to loose 16% of our water cycle? Also, 600,000 wells means 360 billion pounds of chemicals shot into the innocent earth. That’s 7.5 million tractor trailer loads of chemicals. That’s a convoy which would wrap around the earth over four times! And what amount of air pollution will this pervasive drilling bring to our children’s and mother’s lungs? Again, this is homicide, suicide, filicide, matricide, populicide, and ecocide. And how about that CBS corporation. Their 60 Minutes episode on fracking, titled Shaleionaires, was laughable. “Cleaner” gas was assumed, wealth was assumed, water was forgotten. In the conclusion there was hope of a bright solution and prosperous future, if we just eliminate those pesky human errors, reign in cost cutting, and don’t drink the frack fluid. I thought it was counterproductive. The blog, Fracked, has much to say about the 60 Minutes piece. See Sixty Fracking Lame Minutes and Shale Gas Drilling: Pros and Cons. I was relieved to see SOMETHING about the gas drilling on 60 Minutes, but the piece does not begin to cover the issues and the fear and anger we experience living in the midst of the new “gold rush.” I live in southwestern PA near Waynesburg, PA and there is a well being drilled on nearly every hill top, dividing communities, pitting neighbor against neighbor and providing very little comfort/peace/environmental protection. A public forum was held in Pittsburgh recently and the representative from the DEP was very rude to the angry citizens who only want their questions answered. We were told we now live in a heavy industry area and no longer in the agriculture area. I already have had breast cancer from living in a heavy industry polluted town in WV and now face this invasion, because that is what it feels like, an invasion. As the farmers gather their thousands and reportedly millions, sell their cattle and either move or ride around in their caddys the rest of us try to come up with Plan B, sell now? wait? See what happens? Endure the filth, the smell, the noise and wait for more cancer? Why can’t we commit to solar and wind power with such fervor???????? Covert Fracking Cheerleaders: WVIA, the Kirby Theatre, WILK, Time Leader, Citizen’s Voice, CBS,… and many more. Some are transparent, others avoidant, others play both sides. It all has to do with donors and advertisers. Income is the game. You are currently browsing the Frack Mountain blog archives for November, 2010.